Although Gruveo works in all major browsers without the need for a download, the apps and extensions listed below help make your Gruveo experience even better. 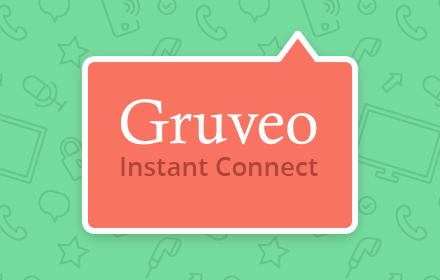 We've gathered all of the Gruveo apps and extensions​ on this page for your convenience. Gruveo's iOS app works on iPhone and iPad, giving you access to all of the powerful features of Gruveo while out and about. 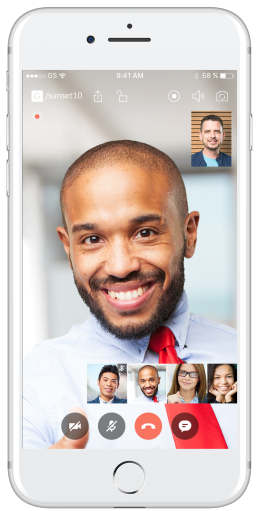 Never miss a call or the opportunity for personal sales and collaboration again. Calls on your Gruveo link ring through to your iOS device, enabling you to answer them with video or with standard audio. Get the best of Gruveo on your Android device. The Gruveo app gives you access to all of the full features of Gruveo that you've come to love on desktop – even while out of the home or office. 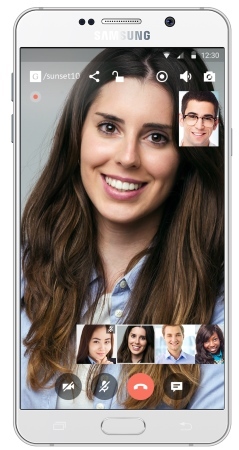 If you have the Gruveo Android app installed, calls on your Gruveo link will ring straight through to your mobile device, ensuring you'll never miss the chance to connect with an important business opportunity while on the go.